Jay’s jets: generate whopping $610,000,000 bill for SA’s taxpayers. South Australians can thank their former Labor government’s obsession with wind and solar power for their status as an international joke. Paying the highest retail power prices in the world (with worse to come), routine load shedding and statewide blackouts, and a grid on the brink of collapse, is all the inevitable consequence of attempting to run an economy on sunshine and breezes. Rann, a former journalist, understood the importance of propaganda and using tame journalists to spread his message; his obsessive control of the media would have made Joseph Goebbels proud. His successor, Jay Weatherill went even harder, the results have been an economic disaster. The cost of backfilling hundreds of ‘missing’ wind megawatts – whenever wind output collapses is staggering: Wind ‘Powered’ South Australia Pays $14,000 per MWh for Power that Coal-Fired Plants Can Deliver for $50. That job’s done by importing coal-fired power from Victoria, running gas-fired OCGTs, reciprocating diesel engined generators and keeping its last remaining base-load plant – AGL’s gas-steam Torrens Island plant online and drawing on the hundreds of MW it holds as spinning reserve from its 1,280 MW of dispatachable capacity. 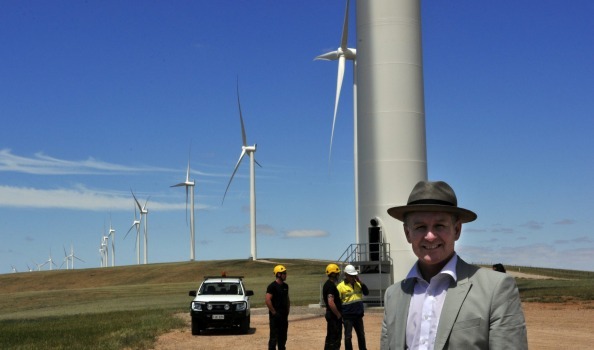 In the summer-time lead up to the state election in March this year, Jay Weatherill shipped in 276 MW diesel-fuelled Open Cycle Turbines (that chew up 80,000 litres of diesel every hour). Weatherill’s own power protection policy failed to deliver another term, and he and his hapless Labor government were shown the door. However, his self-interested effort to keep the lights on last summer has come with an outrageous price tag. Over $815,000,000 was squandered in all: $610,000,000 on Jay’s jets and a large chunk of the balance on Elon Musk’s 100 MW mega-battery (at the time our insiders told us the full cost was over $150,000,000, now it looks like being closer to $200m). With the highest power prices in the world, South Australia’s economic fortunes look more like a train wreck than anything worth writing home about. Its unemployment rate is rising and already tops the nation. And then there’s the massive bill left for those few remaining wage earners earning taxable income in SA, thanks to an obsession with sunshine and breezes. The newly elected Liberal government quickly enlisted one of Adelaide’s leading barristers, Mark Livesey QC in an effort to get to the bottom of the fiasco. Here’s a taste of the QC’s report on just one aspect of the former Labor government’s suicidal energy policies from The Australian. 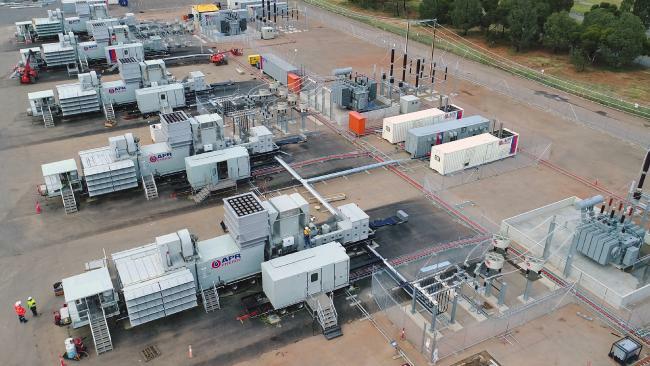 Flawed figures and no expert ­advice underpinned the former South Australian Labor government’s “election stunt” of hastily purchased emergency diesel generators, an independent report has found. The total cost of the nine generators, including maintenance and operation, would be $610 million — more than 40 per cent more than Labor’s estimate. The report by top silk Mark Livesey into the lease and upcoming purchase of the generators was tabled in parliament yesterday. The overall cost of Labor’s go-it-alone energy plan, which included the world’s biggest lithium-ion battery built by Elon Musk’s Tesla, is now $815m, significantly higher than the $550m ­announced by former premier Jay Weatherill and his then energy minister Tom Koutsantonis in March last year. Labor’s plan followed a series of blackouts in South Australia that came after the closure of the state’s only coal-fired power plant in May 2016. The generators, with combined capacity of 276 megawatts, have never been used and will be leased to the private sector after summer. They are currently installed at two locations in Adelaide’s north and south, but were due to be relocated to a single site within a year. Mr Livesey raised concern about Labor’s procurement process, which involved it exercising an option to purchase the generators from APR Energy ahead of when a decision had to be made and just months out from the state election in March. He said State Procurement Board approval was “probably ­required” to make the purchase. “That was not done,” he said. Mr Livesey said there was “sparse” evidence in favour of the government owning a permanent, emergency energy generator but the Liberals were contractually bound to go ahead with the purchase. A $227m bill is due next month. Energy Minister Dan van Holst Pellekaan described the purchase as “no more than an ­expensive election stunt by a government that had failed to provide reliable power at an affordable price”. Labor initially leased the generators, which were to be converted to gas after two years and not involved in the national electricity market, at a cost of $115m. Mr van Holst Pellekaan said the independent report was an ­indictment on Labor’s decision-making. “It exposes how, seemingly without any expert advice, Labor rushed into owning permanent generators at huge expense, which will likely not be needed in the future,” he said. With the Australian Energy Market Operator predicting a one-in-10 chance of South Australia experiencing a blackout this summer, the government will retain control of the generators until April next year. It will then lease them to the private sector under a 25-year ­arrangement to “maximise value” for taxpayers. Mr Koutsantonis yesterday claimed the new Liberal government was “privatising this publicly owned power plant”. Grattan Institute energy program director Tony Wood backed the decision to seek to lease the generators. “Given … the money has been spent effectively, I think putting them into the private sector and finding their best home is a very good idea,” he said. Lunatic’s legacy: a whopping bill for a renewable energy debacle. Labor not following standards in trying to improve SA energy crisis has left a massive financial burden on all SA as documented here. I believe that the actual party members involved and …the Labor party need to be held financially accountable – charged and fined accordingly. They earn much more than the average SA people. We are all sharing the total hardship costs of their negative, mostly ‘lapsadaisical’ approach to running our state. This is inexcusable performance as a government party. Loosing leadership is insignificant compared to legal charges with financial repercussions for the actual individuals responsible would be most appropriate. They are well aware of their legal responsibilities for the state as a whole as a governing party…no excuses should be tolerated when people aiming for glory than what’s best overall for their state. Thanks STT. There is a new site named defrock.org. read it’s purpose and other interesting articles. Why don’t the other States realise what has happened in SA? Sometimes what to us are bugs are to others, notably Bankers and their puppets, features. Queensland has an x Rugby League Referee deputy leader of the opposition LNP party who wants to replace Queensland’s cheap reliable coal fired power stations that keep the East coast grid going with sunshine and breezes. Go figure. Australia possibly needs a central psycho analytic hospital to screen these fools before they are allowed to become politicians. And what change has the election and defeat of labor made for SA? Nothing has changed. The minister—and presumably his party—wants more of the same: wind and solar, all thoroughly unreliable. The level of waste is staggering and only possible on account of the scale of government in this benighted state. Should anyone attempt to calculate the total cost of the green fiasco they have to consider all the hidden additions of solar panels to businesses (e.g., Adelaide Mushrooms, pronounced as a grant to the business, no mention of the purpose but you see it from the road) and councils (e.g., the sewerage system for Peterborough, all solar-powered). And the public? By and large, it remains completely unaware of the reason for the enormous increases in the cost of ever more unreliable electricity. Anthony Trollope, in “Phineas Finn”, expressed clear doubts regarding the merits of the ballot, that is, voting in secret. I still think he and some of his characters were wrong but curiously their reasoning seems to hold. The previous very open and public system tended to favour those who could best lubricate the (small) electorate with liquor. Today the same is done with catalogues of lies and specious claims; no one makes an argument; no on thinks or asks the members of the electorate to think nationally (try submarines or the foreign debt). We, in South Australia, and likely elsewhere, have very serious problems and, on the face of it, no means of repairing the damage. Science is dying (the replication crisis and much more), the humanities are dead; I believe there is a direct link between the two. On the face of it we have no means of repair, not in the near future at any rate. Only with rejuvenation of the humanities can we begin to approach a future with hope. They still have an interconnector? That’s a pity, I thought Hazelwood was their only lifeline. Rann bullshitted the milienium drought and then gave us a $2 billion desal plant and sky high water prices. Then Weatherill bullshitted hospital bugs and viruses, that gave us a $3 billion hospital that is performing worse than the old hospital. I will be branded an inconsiderate idiot for writing this but, stuff ’em! South Australians created this mess over more than a decade. They continued to elect the Labor party with their unviable energy policies. NOT MY PROBLEM! The very best thing that can happen is for the interconnector between Victoria and South Australia to fail in a very bad way this summer. Then we will see the true result of what ‘going green’ really means. Stock up on the candles folks! Not ‘inconsiderate’ just miss informed. For at least 2 elections before the last one the Liberals received the highest vote from the SA population, but due to the boundary situation they lost because they did not get enough seats. This time round the boundary’s were changed and re-balanced so they were able to be elected. Hopefully we will begin shortly to see some sort of acceptable policy – but not sure if Dan van Holst Pellekaan understands the situation well enough to push through what is really needed. SA needs someone with a wealth of understanding and acceptance of the full ramifications of Labors failings in this State. Pushing for another interconnector when there is insufficient energy being produced across the whole grid is nothing more than a route to disaster. NSW routinely is unable even with their massive coal contribution to meet their own needs, Queensland is the only participant who seems to be almost always meeting theirs, with some left over to send down the grid line to the rest of us to share. Even NSW’s hydro is incapable of producing sufficient to be able to offer any worthwhile input. Tasmania’s hydro does a reasonable job but at times still they have to be assisted to meet their needs. Remove coal from Queensland, NSW and Victoria and we are all in the you know what. There is no amount of turbines or even solar panels with battery’s added that can meet the needs of this Grid or even any State if they separated from the grid. What those that have the job of sorting this mess out have to understand is to help the worlds environment is not just a matter of what our source is but what that source leaves behind after producing the needs of the source – the environmental cost of all the ‘rare earth’ mining and production, the cost of components for battery’s, turbine towers and blades, transport etc. all come at an environment cost whether when producing or ‘re-cycling’. Then there’s the push for more and more electronical operation uses such as cars, trains and trams, and what about all our gadgets and instrumentation – every time we buy a phone – mobile or not, every time we buy and use a computer of any sort, any time we turn a light on, have an operation, purchase an ice-cream etc. electricity has come into the equation. The more we use the more we need and the more is needed to be produced. The UN’s stupid concentration on trying to reduce emissions from energy production has done nothing to help the environment, it has just made it worse. Look at how each country that’s gone ahead with the idiotic idea to meet the requirements have gone ‘renewable’ have actually managed to reduce their dependence on Energy or reduced their production of emissions. Have any truly managed it? Our State and Federal Governments need to get their heads around that and their fists out of their mouths and start working to right this wrong and bring Australia back to being the ‘Lucky Country’ one where common-sense prevails.